Discover the most intriguing baby product from Baby’s Lists also rated as one of the best baby carriers for newborns. This one allows you to carry your 4 ways allowing you to keep a full control over your kid as your move around. Along with, it comes with a 2-in-1 bib that can safe your clothes as well as the carrier. The best part, it can be washed in machine. The waist belt, straps, leg openings, as well as adjustable seats can be customized according to your baby’s size. 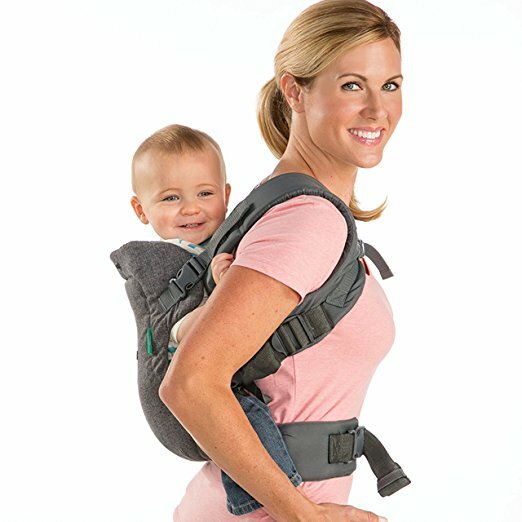 The Flip Advanced baby carrier also comes with convertible unique seat that makes these perfect for infancy as well as the toddler years. For small infants, you can use the narrow seat position while for elder child you can switch to the wider position for more ergonomic, facing-in seat. You can check out other details in the table shown below.